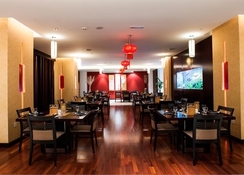 The Citymax Hotel Bur Dubai is located in the historical district of Dubai. But, don’t be fooled by its location because the hotel has a contemporary look and feel to it. The hotel offers 693 smart rooms set in a smart interior of cool marble and warm rich tones with stylish furnishings and offers accommodation only or a B&B option. 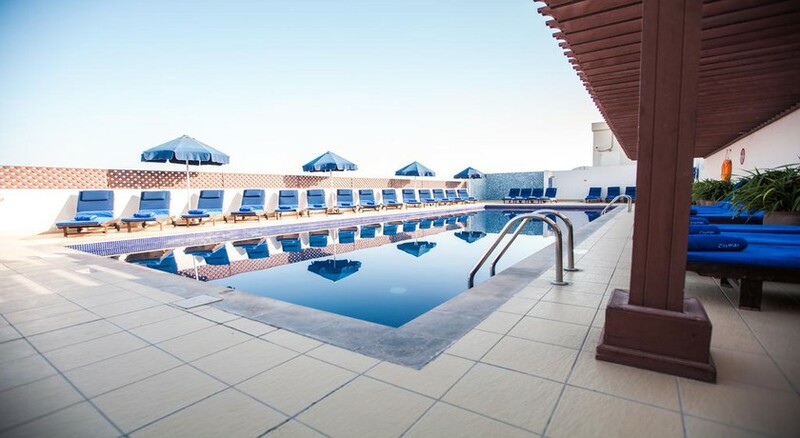 Another prominent feature of this hotel is its nifty rooftop pool where guests can rejuvenate themselves. Guests can also make use of the rigged gymnasium to stay on track with their fitness schedule. Guests have a fine choice for dining, sports & lounge bars and a 24-hour coffee shop. Being in the center of Dubai, guests of the Citymax Hotel Bur Dubai can easily take a 10-minute stroll to the BurJuman Mall and Textile Souk. The Citymax Bur Dubai Hotel is located centrally in Dubai’s historical district close to the heritage sites and monuments. The Dubai International Airport is 10km from the hotel. The Burj Khalifa, which is the tallest building in the world is 7.7km from the hotel. The Burjuman Mall is about 10 minutes from the hotel, whereas the Dubai World Trade Centre is 3km from the hotel. Meena Bazar is just 2km from the hotel. 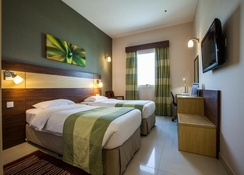 The Citymax Bur Dubai Hotel features 693 rooms, which bring great comfort to guests. You can choose from 574 twin, interconnecting and disabled-access rooms. All are fitted with necessary luxuries such as a bathroom, toilet, and are equipped with amenities like a hair dryer, television sets, internet connections for quick and easy access to the web. The beds here have 10-inch thick luxury mattresses, so the comfort doesn’t get any better than this! There is a wide-ranging choice of in-house dining available at the Citymax Hotel Bur Dubai, restaurants that serve a luxurious blend of international foods, and Coffee Shops that are open 24/7. 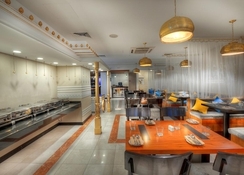 The hotel offers a la carte and buffet dining facility to its guests. Different restaurants serve Thai, Chinese and India specialties for breakfast, lunch and dinner. Guests can also utilize in-room service that is available throughout the day. 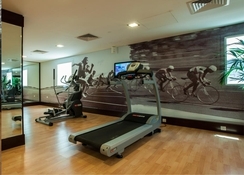 The hotel offers ample sports and leisure facilities to its guests, which will ultimately make their stay enjoyable. There is a roof top pool, where the guests can soak up the sun and maintain their fitness level in the hotel’s well-equipped gym. 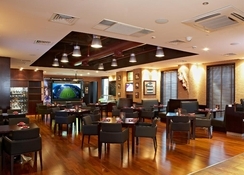 The Al Ahli sporting club is also close to the hotel, where guests can enjoy some sporting activities. Amazing! People work there are so nice and they really take care of you! I recommend this hotel and I will go back! Great hotel & super friendly staff and amazing food, although not ideally located close transport links near to hotel so not an issue for those looking for a great deal more!